I remember that my grandmother was one of the most elegant and graceful women that I have ever known. I have fond memories of her cooking a wonderful dinner in her gorgeous apron and thought she was simply stunning. While I use an apron, I have always dreamed of wearing one as classy as the apron that my Meme used to wear. C. Surratt has launched a sophisticated collection of couture inspired aprons that are absolutely gorgeous! I no longer have to sacrifice my sense of fashion at our next dinner party because this is a brand that I would be proud to wear in front of my family and guests. C. Surratt takes great pride that this apron collection is handmade in the U.S.A. and epitomizes elegance. 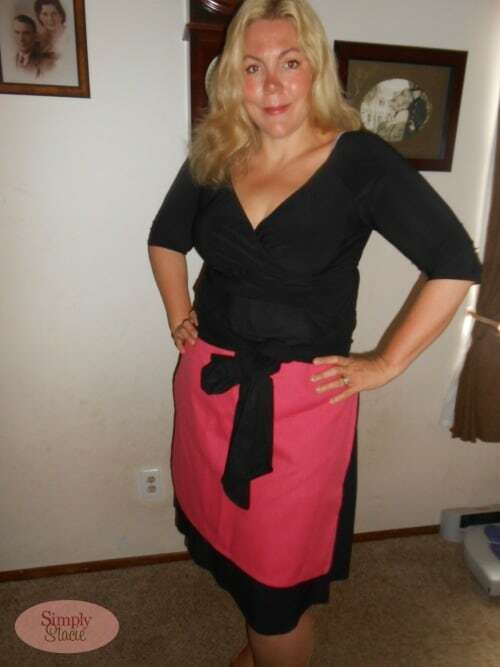 I fell in love with the Mrs O Hot Pink apron (SRP $85) which is a lovely shade of rich pink that is accentuated by a black double wrap belt that I was able to tie into a stylish bow. The high waist band and flattering cut is perfect for all shapes and sizes and the cotton body and linen belt makes this apron especially luxurious. 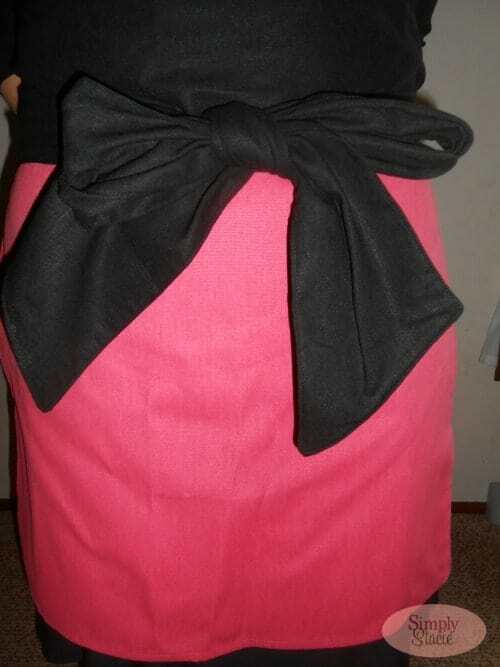 The apron is 24” long which is flattering with a dress, skirt or slacks. The overall quality is exceptional and I am very pleased with my apron! I even find myself making up reasons to host a get-together so that I can wear my beloved apron. There are lots of beautiful limited edition prints to choose from and a few of my favorite styles include the “Grace”, which is just stunning for autumn, “Anna” and “Wallis”. The rich colors and textures make these styles especially appealing with a simple elegance. C. Surratt is a luxurious brand that would make an excellent gift idea for a new bride, hostess or home chef. I feel so confident and pretty when wearing my C. Surratt apron and look forward to entertaining guests over the holidays while wearing my Mrs O Hot Pink with flare and style! My favorite apron is the Jenna RB. I love the bright colors and bold pattern! i like Wallis it’s so me. My favorite apron is the Wallis! So pretty and unique!! I love the Mrs O Chartreuse apron! I like the Jenna RB apron. My favorite is the Aubrey. My favorite is the Lee. I like the sparrows & all of the detail. I like the Jackie O SB apron. I like the Mrs. O Turquoise. I like the Jenna BB apron the best. I love the Carolina apron! The Jackie O SB is perfect for me as I love bows but would end up with it in all my flour when I bake. Mrs hot pink for me i think! My favorite apron is Greta. I really liked the Greta. I like the Anna and Jackie.